The Zodiac Sign Leo Woman (July 23 - August 23), Leo Personality Traits for Female born under July Zodiac signs. Leo woman is very demanding to herself and those around her. She cares about her appearance, dress, and the society in which she lives. This is a very proud, confident, beautiful woman with nice manners. She has a sense of self-dignity, and she can't be easily confused. The Leo woman does not like criticism, but she could just pretend that she does not pay attention to the quip until a good opportunity comes for her to take revenge on her offender. She is an optimistic person, failures and blunders will never knock the bottom out of her feet, she always stands firm on her feet. Under mistakes, the Leo woman can concentrate and collect energy to accomplish the same thing, but with tremendous success, because she is a real fighter and a winner. Leo woman loves human society, in which she can express her many talents and receive a feedback - compliments. She is very concerned with her reputation, and she chooses a work focusing on its prestige, always striving for the highest society. The Leo woman occupies a central place in any company - no matter whether she is energetic at that moment or not. Inside, she feels an amazing inner expression and strength of character that it would seem she can manipulate other people just by thought. The Leo woman always achieves what he has conceived, and it does not matter in what ways since winners in the end are not judged. She can be quite sentimental, romantic - in such moments, the Leo woman becomes a goddess descended from heaven. Men will never leave the Leo woman without attention, she is certainly successful, and loves and knows how to break men's hearts with her inaccessibility and coldness. Flirting is fun for her when she feels boring, but Leo woman is very serious about relationships, and her heart will be won by men who not only know how to speak beautifully, but who have achieved something in life, have a high position or status, or show signs of these. The Leo woman appreciates loyal friends and is very generous to them, but she has few real friends - not everyone can stand her difficult character. The Leo woman remembers her first love all her life, and all subsequent relationships will be considered in the light of this love, compare them with her recollection. Because of her difficult character, the Leo woman during her life breaks up with many people, and then, looking back, bitterly realizes that she has underestimated these people, was misled by her own ambitions, and not restrained. This representative of the zodiacal circle always strives to lead, even in personal relationships, and her lover has to accept the fact that she will always occupy a predominating place in all family matters. Leo woman needs understanding, care and love. It is only through love that she blossoms like a beautiful flower, and only in gusts of tenderness and passion that she can turn into a furry affectionate cat who loves to purr at a man on his knees. Her partner should always support her confidence that she is irresistible, gorgeous, beautiful, because she is in dire need of support and understanding. Leo woman needs a society, freedom, and she cannot be locked up in the house and denied this because in doing so she will quickly lose her luster and brilliance. She needs a life partner who will accompany her to high parties, who will be a shadow of her royal person, but she will not tolerate a weak-willed man beside her. The Leo woman will be a great hostess and an excellent mother, she will protect her family from any assault, she has enough strength to create a brilliant career in production, and to take care of her loved ones. Omg.....who told these people about me. This is the perfect description of me. This is soooo me no doubt!! Soooo true! Out of all the horoscopes web pages out there I've read, this one is THE BEST!! So accurate its scary!! hi, LOVE the website THOUGH typos are SOOOOOOOOOOOOOOOOOOOOOOOOOOOOOOOOOOOOOOO ANNOYING. the message, literally, gets lost in translation WHEN I am constantly guessing what was trying to be said. THANKS! Hi I was wondering can to Leo have a successful relationship... Men and a woman? 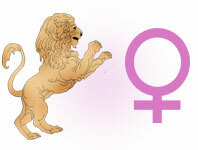 Full description of Leo Woman, character traits and personality characteristic for female Leo.